It is with great pride (and no small amount of excitement) that we bring news to you that TSL4, The Saber Legion's fourth annual international full-contact heavy-dueling custom saber tournament, is being hosted by the world-renowned event Combat Con! Please join The Saber Legion and Combat Con in 2019 as we unite to bring you TSL4, HEMA tournaments, martial instruction, weapons classes, practicums, vendor areas, panels, exhibitions, entertainment, afterparties and a variety of other martial events and opportunities. 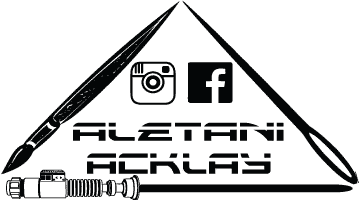 As an organization and community, this gives us the chance to show the larger martial arts community that we are serious about what we do and, most importantly, share a mutual love and respect for weapons-based martial arts and competition. Our main event will be by far our most popular, the Standard Saber bracket tournament, where combatants wield a single saber. Our second most popular event, the Exotic Saber bracket tournament, will feature standard sabers, cross guard sabers, saber pikes and dual wielding. But that's not all! We have three new tournaments joining this year! For the first time in TSL history we will be the hosting a 50+ Standard Saber bracket tournament (for members 50 years and up), a Tag Team bracket tournament, and the Women's Standard Saber bracket tournament! How in the world did we arrive to such an amazing moment? When The Saber Legion (TSL) was founded in 2015, we came together with a vision and (most importantly) our custom sabers. We knew in our hearts there was a place for us. There had to be others out there who shared the same love for the fandom, for the action and for the custom saber. Fortunately, we were right! In our first three to six months, TSL saw growth large enough to allow us to organize and host TSL1, the world's first national, full contact, heavy dueling custom saber tournament. We took the risk and were rewarded with a great event. Most importantly, we learned what the community wanted and what we should accomplish to lead TSL into the future. In our second year, TSL grew the most definitive and most important part of our organization: our membership. We showed that we can retain members and continue to grow by sticking to our mission statement and building a solid, caring community around the custom saber. We began organizing TSL2 and soon added the vision of hosting SABERCON to showcase and support the saber smiths, cosplayers, stage fighters and as much of our membership pool as we could manage. There were many bumps in the road as we learned what it takes to organize a convention, as well as a tournament, and were ultimately rewarded with another amazing event and a lot of attention. TSL leadership and many TSL charters were interviewed, featured in videos, invited to podcasts and were included in television news segments and sport channel highlights. As a direct result of our incredible members, the hard work of our capable volunteer staff and TSL's committed leadership we begin year three with so much momentum that we already had our first (of many) incredible announcements! As most of our members know, our rules are simple and focused on the safety and fun of the saber duel. Those aspects have attracted members from a variety of incredible martial disciplines. TSL can provide a chance for members to compete with weapons practitioners from many different systems and varying skill levels. It is through our member's ability to demonstrate the strengths of our rule set and the camaraderie of our community (not to mention their real-world friendships and contacts) that we have attracted the attention of another amazing organization: Combat Con! For those of you whom are not familiar with Combat Con, please visit their website (www.combatcon.com) and look around to see more of what they are about. Combat Con began as a way to showcase western martial arts (WMA) and historical european martial arts (HEMA) to the world and have expanded over the years to include stunt coordinators, writers, tournaments, classes, workshops, panels, shows, and much more. They now provide an incredibly broad view of the quality and diversity of martial systems that influence pop culture, sports, and entertainment all over the world. Combat Con has taken notice of TSL, has seen how we are growing, and has come to understand the goals of our organization. Because of this, TSL and Combat Con have come to the agreement that we are a perfect fit! Taken directly from their website, Combat Con is a "celebration of martial arts in popular culture" and what could be more pop culture than our favorite iconic weapon from our favorite sci-fi saga? 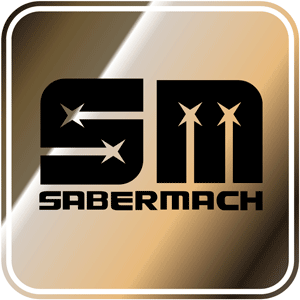 It is with incredible excitement and overwhelming enthusiasm that we can announce that CombatCon is hosting the Fourth Annual Saber Legion Tournarment (TSL4), August 1st – 4th 2019, at the Flamingo Hotel in Las Vegas Nevada!